Shin Bet releases new details regarding the brutal murder of 19-year-old Ori Ansbacher. The Shin Bet released new details regarding the gruesome murder of 19-year-old Ori Ansbacher in the Jerusalem forest last week. According to the Shin Bet, 29 year-old Hevron native Arafat Afariah set out with a knife. When he saw Ansbacher in the Jerusalem Forest, he stabbed her multiple times in the chest and killed her. The investigation is at its height and the majority of the details are under a gag order. 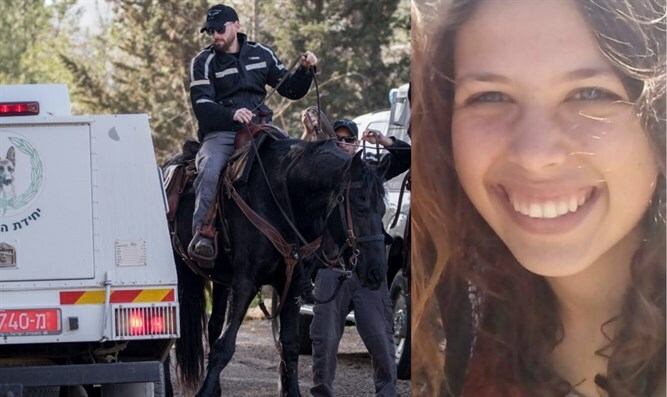 Ansbacher, a volunteer at a youth center in Jerusalem, had walked to the Jerusalem forest to be alone after an argument when she was murdered. Afariah was arrested on Saturday by Israeli special forces in a mosque in Al Bireh, a village near Ramallah. Prime Minister Netanyahu said following Afariah's arrest that "I congratulate the Shin Bet security services and the Israel Police that within a few hours captured the abominable murderer who murdered Ori Ansbacher. Israel's long arm reaches anyone who harms us and we will settle accounts with them." "In my name and on behalf of the people of Israel, I wish to express my condolences to the Ansbacher family and to strengthen them with their great grief."